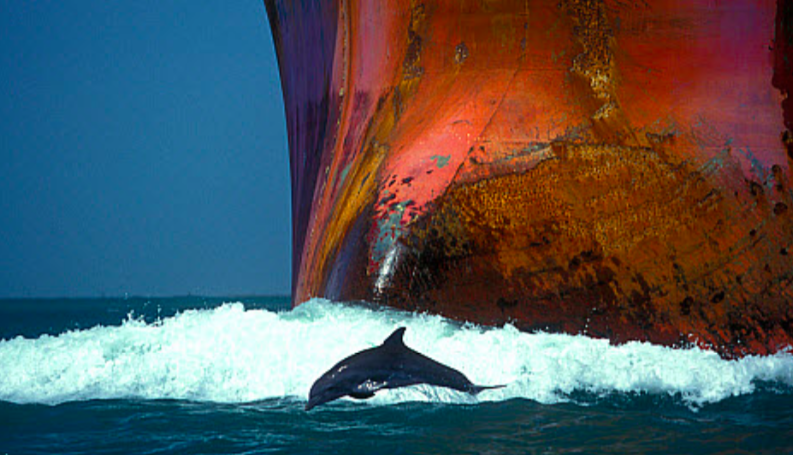 Dolphins or LNG tankers in the Shannon Estuary? Dolphins or LNG tankers in the Shannon Estuary? Environmental groups encourage people to have their say on the building of a huge fracked gas LNG terminal by May 13th. Ireland banned fracking but Sambolo Resources wants to open one of Europe’s biggest projects to process fracked material in a Shannon Estuary nature reserve where whales and dolphins swim. Right now, they’re trying to renew planning permission with An Bord Pleanála – who have acted very strangely. The proposed plant is called Shannon LNG and it is huge: the proposed final maximum regasification capacity of at least 10 billion cubic meters (bcm) per year would equal the European Union’s most ambitious gas project, the Southern Gas Corridor, and supply Ireland‘s fossil gas needs twice over. Fracked hydrocarbons would be tankered in from the United States, processed and much of it then sent to Europe. This project is a game changer, especially in jittery Brexit times. Initially, An Bord Pleanála, the Irish State Planning Board, decided that extending the expiring planning permission for the proposed Shannon LNG terminal is a “Material Change”, meaning that then a second decision is required on whether the changes would have “significant effects on the environment”. If the alteration is deemed both material and having a significant effect on the environment then it is almost certain that Shannon LNG would be refused permission to extend planning permission beyond the 10 years. Then, 26 days later, An Bord Planeála changed its mind. Then something unprecedented happened: environmental Groups from Ireland, Belgium, Germany and the USA united in one joint submission against the extension of planning. They fear than it would contribute significantly to climate change, destroy local biodiversity, involve more fossil fuel lock-in and damage the up-and-coming Irish renewables industry. Global trends show that investors are prioritising green development. Right now, everyone is is still waiting to see if An Bord Pleanála will consider everything we have learned since 2008 in deciding to renew planning permission. The groups call on the public to send in important additional comments until May 13th, a date set by An Bord Pleanála.